Feng Shui - Attract Positive Energy For Your Home! Feng Shui – Attract Positive Energy For Your Home! Feng shui is a Chinese philosophical belief which describes how arranging things inside a building can create harmony with the people and the environment. The practise of feng shui tackles architecture in a metaphorical sense, with respect to the invisible forces that hold the universe, earth and humanity together. There are a lot of benefits to incorporating Feng Shui into your home, such as attracting wealth, improving your love life and guaranteeing good health! It is easy to incorporate basic feng shui principles into your home to achieve the above-mentioned benefits. To start, here are some helpful feng shui tips for beginners! Feng shui is actually much easier to incorporate into your home than it sounds. Here are 7 beginners’ tips for if you would like to use feng shui philosophy in the architecture of your home! 1. WORK WITH YOUR BIRTH ELEMENT! 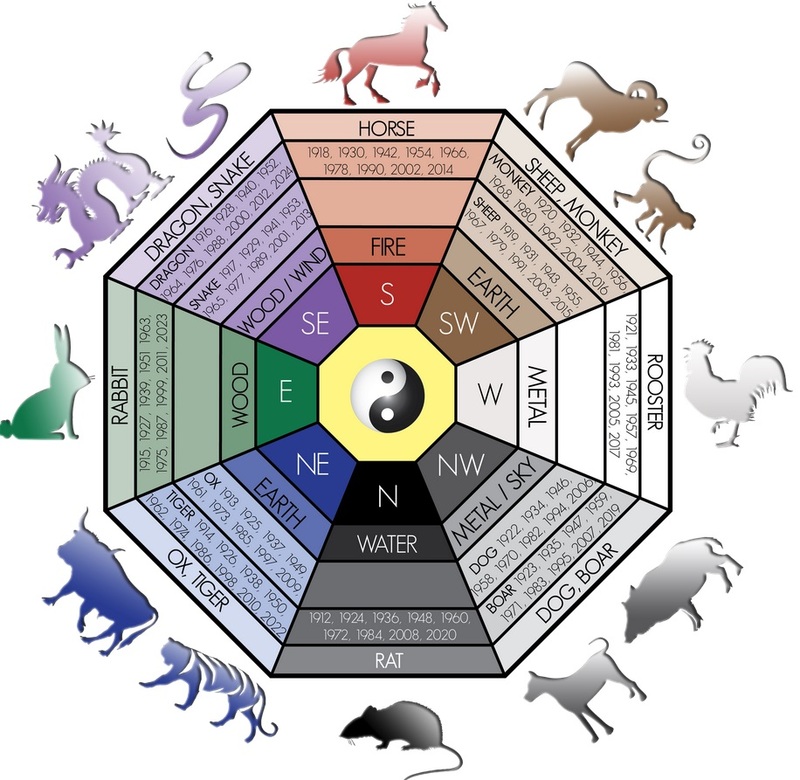 One basic tip to incorporating feng shui into your home is to first find out what your birth element is. There are five elements in feng shui: Wood, Fire, Earth, Metal, and Water. Each element has a unique energy quality which supports your home in various ways. To find out which element works best for you, all you need is the year of your birth. Once you have found out what your birth element is, pick items for your home based on this element to nourish and support your personal energy. For instance, if your birth element is Fire, incorporate the colors of this element, such as Red, Orange, Purple, Magenta, Pink, and Yellow. You would also need to incorporate wood elements into your home because, by nature, wood feeds fire. Therefore, to keep your birth element good and strong, a wood element is also a must! 2. DISCOVER YOUR KUA AND LUCKY DIRECTIONS! Discover your Kua number iand work with the directions you are luckiest! This is a must in Feng Shui because finding out your lucky directions can give you positive energy. Your Kua number will tell you the best directions for your furniture. For instance, for those with 1 as their Kua number, their best directions are: South, Southeast, East, and North. 3. KEEP YOUR HOME CLUTTER-FREE! One of the simplest and most important parts of feng shui is to clean your house and get rid of items that you no longer need. This process serves as a therapy as well since it consumes time and energy, but in the process of de-cluttering you are actually lightening your load. De-cluttering also serves as a cleansing process in feng shui, and is therefore very important! 4. LET THERE BE GOOD QUALITY AIR AND LIGHT! Light and space are two essential elements for positive energy in your house. Leave the windows open most of the time, use air-purifying plants or an electronic air purifier. Let natural light enter your home. You will be surprised at how these two elements can help your home to attract good energy! Learn the five basic elements of feng shui: Wood, Fire, Earth, Metal, and Water. Each element has its own strengths and weaknesses, so you should have a distinct understanding of how the basic elements connect with what you would like to attract. For instance, if you would like to attract wealth and prosperity, elements such as wood and water will be good for you. These two elements work best in the Southeast area of your home. If it is your health you would like to improve, the wood element is best for you, so it is a good idea to place green lush plants and wood furniture in the East area of your home. 6. DEFINE YOUR ENERGY MAP! Learn how to define the Bagua or energy map of your home through these two main feng shui techniques: The Classical school of Bagua or the Western Bagua map. Defining the energy map of your home will be important for you to know which areas of your home effect certain aspects of your life. For instance, in Classical Bagua, the Southeast area of your home is connected to the flow of monetary energy in your life. On the other hand, the East area of your home affects the flow of health energy in your life. Never neglect the flow of energy in your home or its connection and influence to certain aspects of your life. Always pay attention to the feng shui “trinity” that is connected to the flow of your health energy: your bedroom, your bathroom, and your kitchen. Energy is not static, so keep all the areas of your home clean, healthy and happy! 8. BASICS OF FENG SHUI IN SUMMARY! Now that you have learned the basics of feng shui, you are free to incorporate it into the comfort of your home! After mastering the basics, you can, of course, explore more complex feng shui like the movement of the stars and how it affects the flow of energy. At the end of the day, feng shui is a Chinese Architectural philosophy. It is a belief which does no harm, so you will not lose anything if you give it a try. However, keep in mind that these beliefs are just beliefs and that nothing will happen without action. You may have followed all of the steps necessary to have a good flow of wealth and money in your home but if you are not working yourself, nothing will ever change! At the end of the day, you and only you are in charge of your life!